This page contains websites of people who influence my work in many ways! 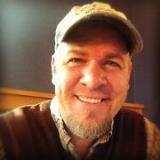 Jay J Matott is a man with real talent and imagination. When he was just a boy he illustrated the hilarious book The Tails Tales of Mr. Murphy as a fun way to express his talents with his Pop. Now he himself is a Dad and in the near future his son will be able to enjoy the books his Dad and Pops have created. He has completed the illustrations for The Tails Tales of Mr. Murphy, Also which will publish November, 2015 . John Woods illustrated the popular poetry books; There's A Fly On My Toast! and Chocolate Covered Frog Legs as well as Ol' Lady Grizelda and The Sky is Falling! John has just completed the illustrations for the fifth book in the Gabriel Peters series and is going to work on book six, as well as a few other projects! Gabriel Peters and The Bait Shop Gang will publish November, 2015! Presently illustrating two picture books titled: I Think My Dog Might Be A Nerd and I Think My Cat Might Be A Geek! John spends most of his time doing amazing commissioned art pieces as well as designing and sketching. A VERY talented man indeed! David Schiedt illustrated the picture books Miss Spell and Drinking Fountain Joe. His design and illustration fills the pages of Go Ask Mom, The World According to Gabe, The Gabriel Book of World Records and The Summer of Mystery (all in the GP Series) ! 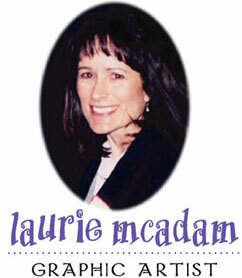 Laurie McAdam is a daily illustrator for The Modesto Bee and had collaborated on many book projects including: When Did I Meet You Grandma?, When Did I Meet You Grandpa?, Oliver Kringle, Aliens All Mixed Up!, Cowboys & Aliens All Mixed Up! and the upcoming Pooches All Mixed Up!